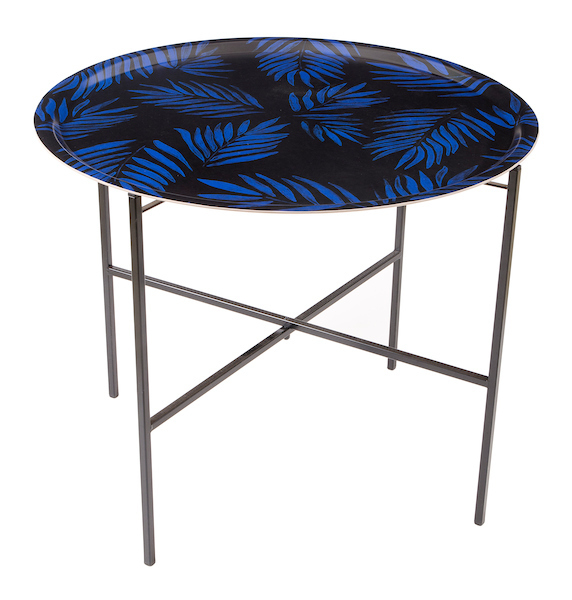 Luxury tray table featuring the tropical Palm Beach print in royal blue created by Mariska Meijers from hand drawn palm leaves set against a dramatic dark background. This fold away tray table is easy to bring with you, ideal for city living where space comes at a premium but also great for outdoors on the balcony or in the garden. Made in Scandinavia. The Palm Beach pattern is available across our interior collections. Ø65 x 53 cm / Ø25" x 21", Ø38 x 53 cm / Ø15" x 21", Ø45 x 53 cm / Ø18" x 21"